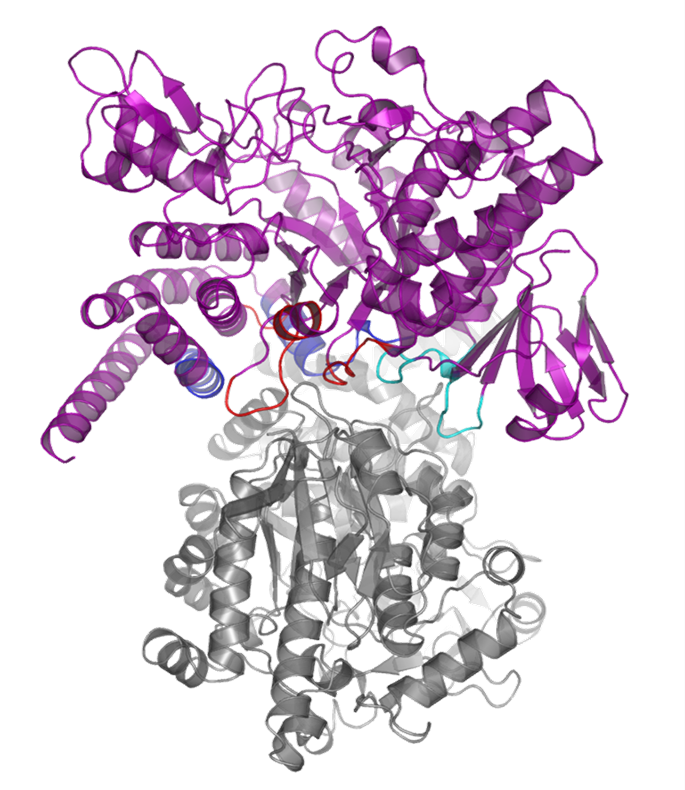 Crystal structure of the 4’-phosphopantetheinyl transferase PptT of Mycobacterium tunberculosis in complex with coenzyme A. 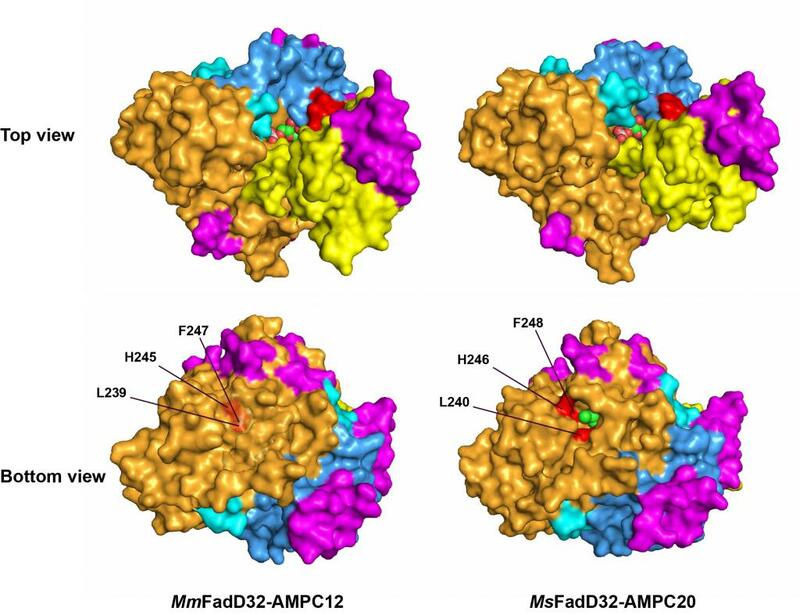 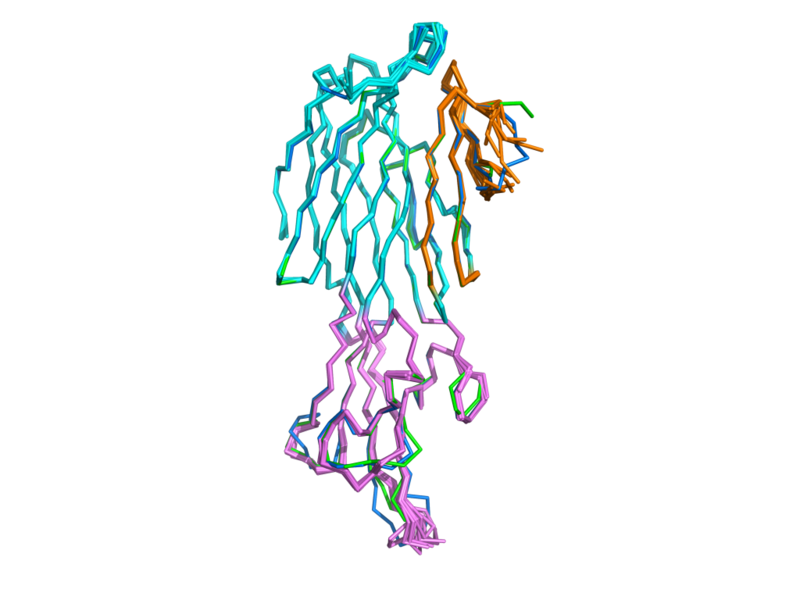 Structure of the complex formed between the chaperone and the ChAD sequence of the M. tuberculosis TAC system. 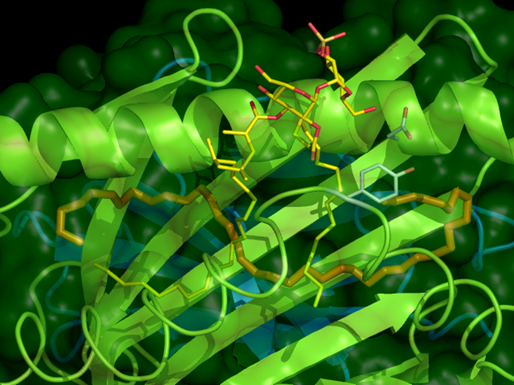 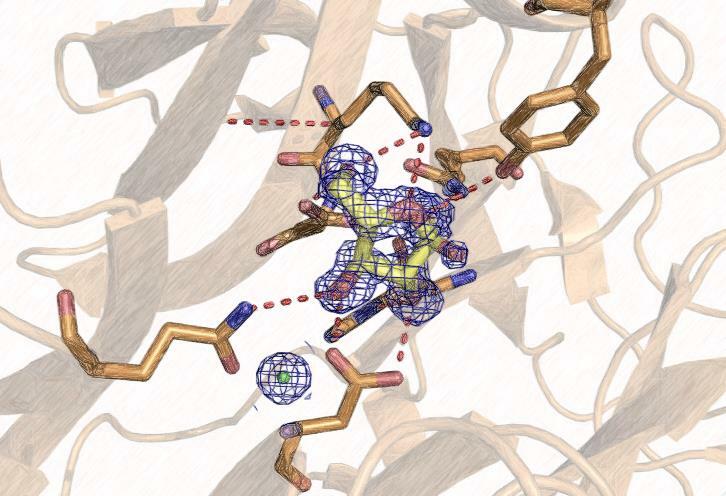 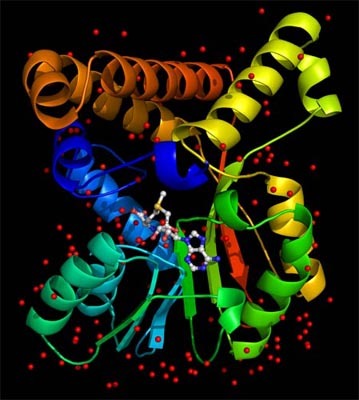 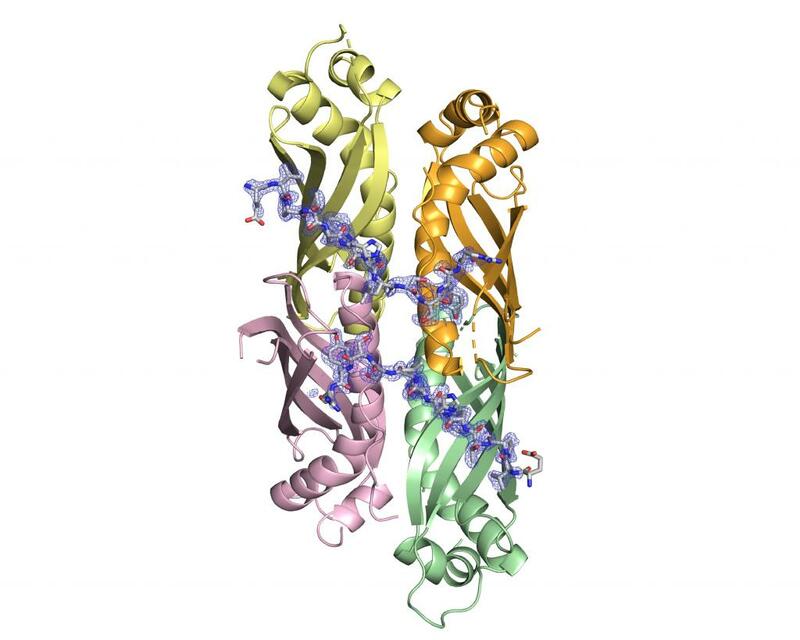 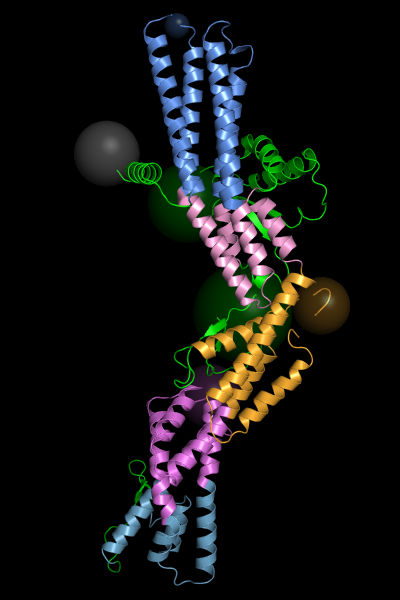 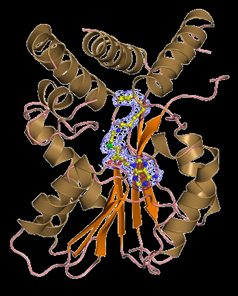 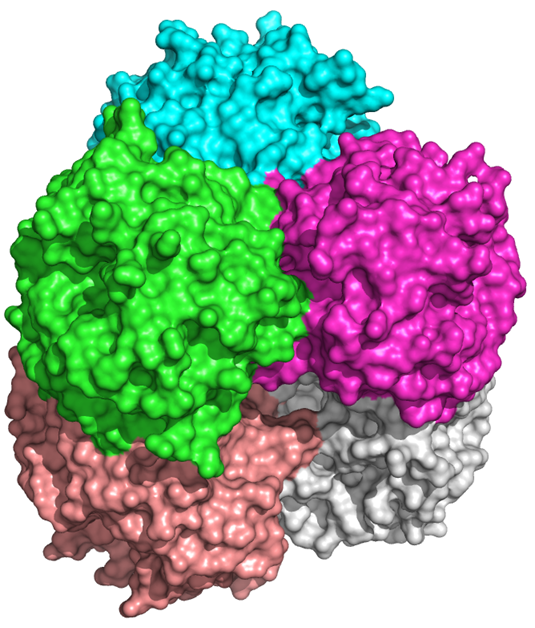 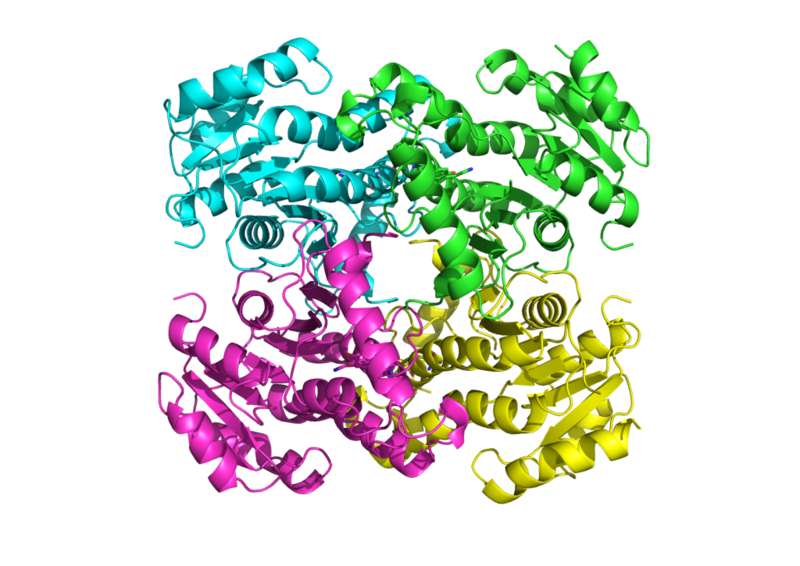 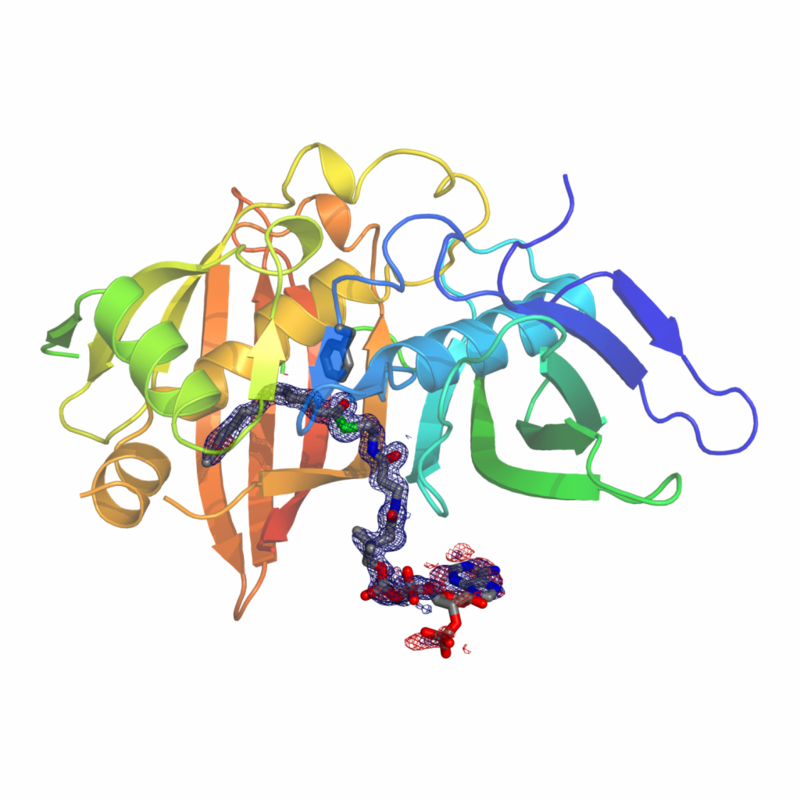 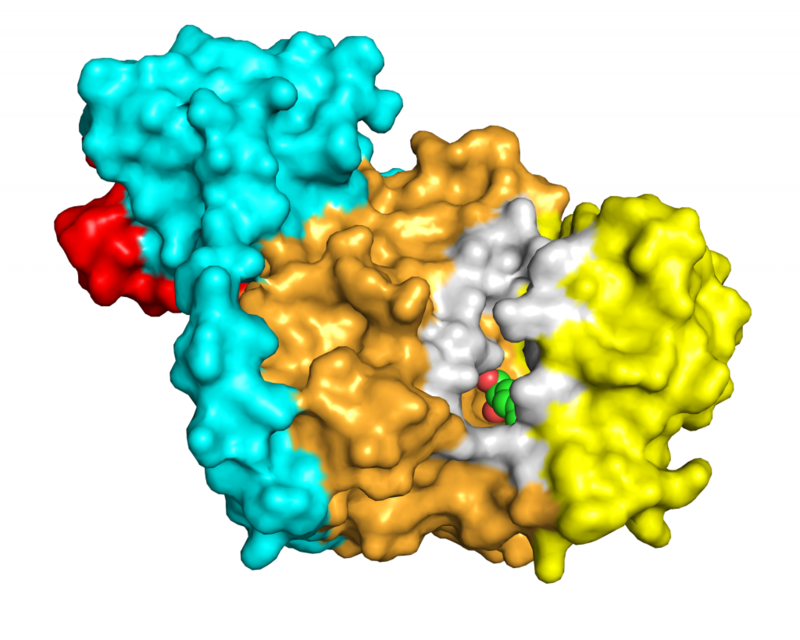 The molecular chaperone is made up of four identical subunits schematized as ribbons of different colours. 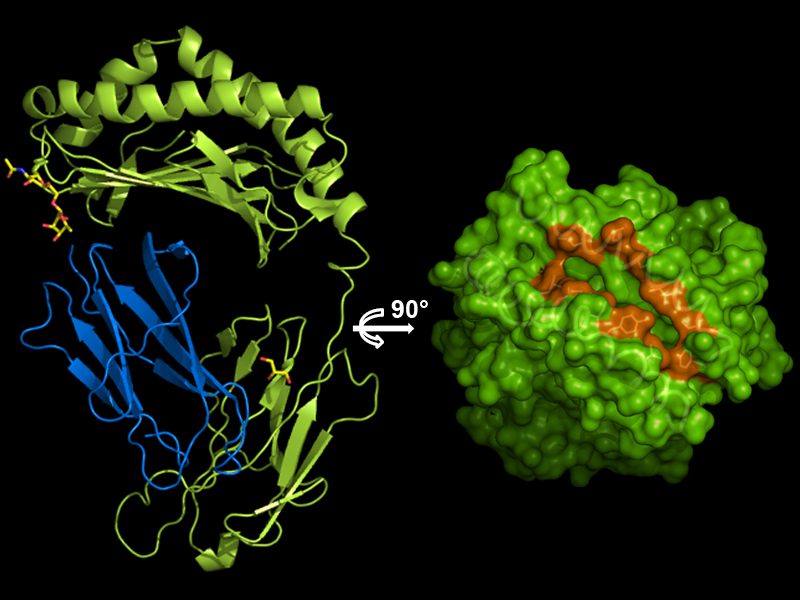 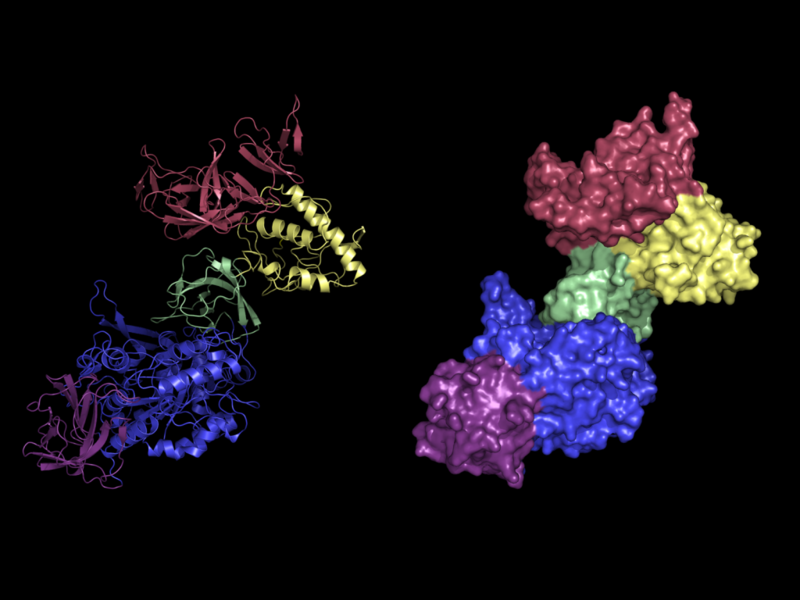 Two ChAD peptides and the corresponding experimental electron density map (blue mesh) are also shown. 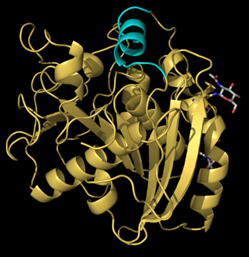 Crystal structure of the DH domain of the polyketide synthase PpsC from Mycobacterium tunberculosis in complex with unsaturated trans-dodec-2-enoyl-CoA (C12:1-CoA). 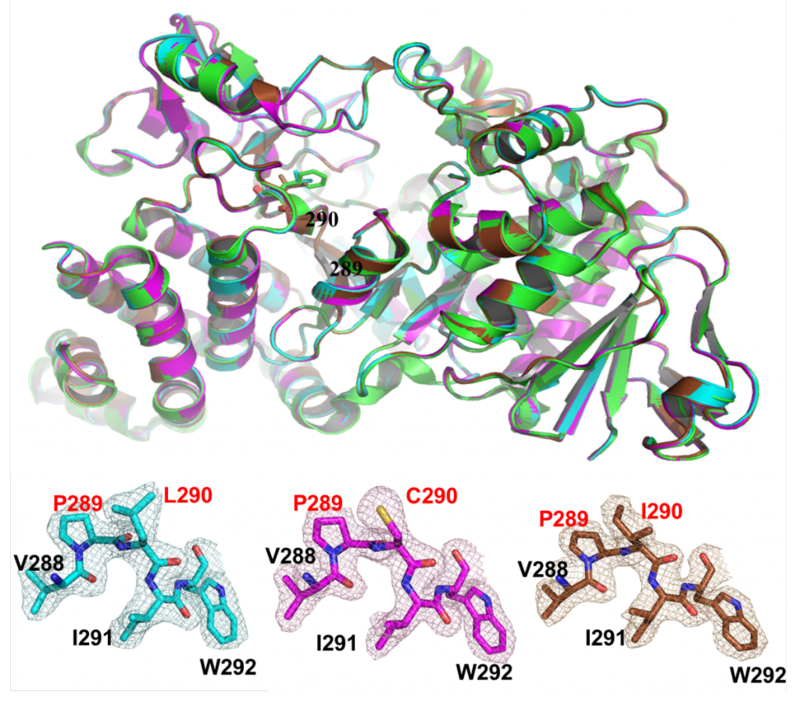 Crystal structure of human CD1b in complex with synthetic antigenic diacylsulfoglycolipid and endogenous spacer. 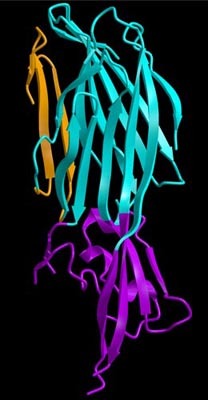 Staphylococcus aureus covalent S-F heterodimer of gamma-hemolysin. 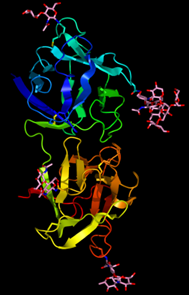 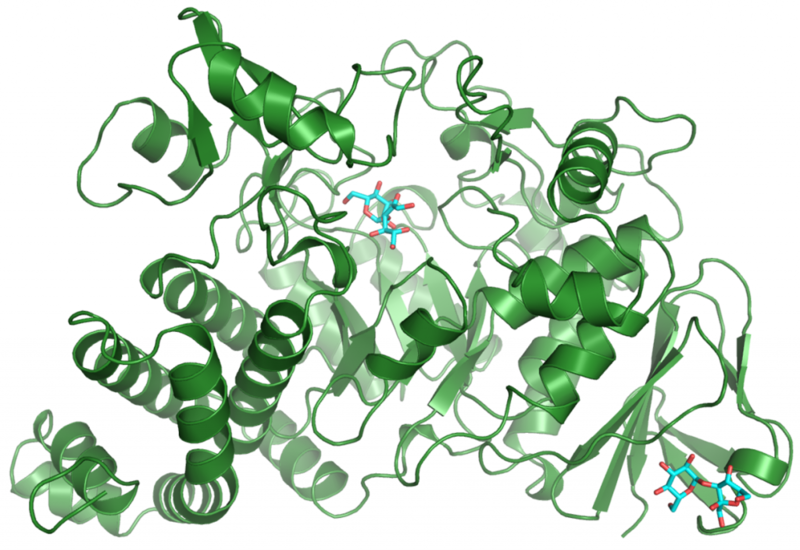 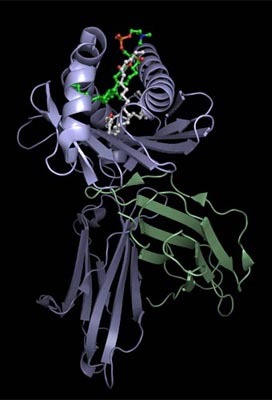 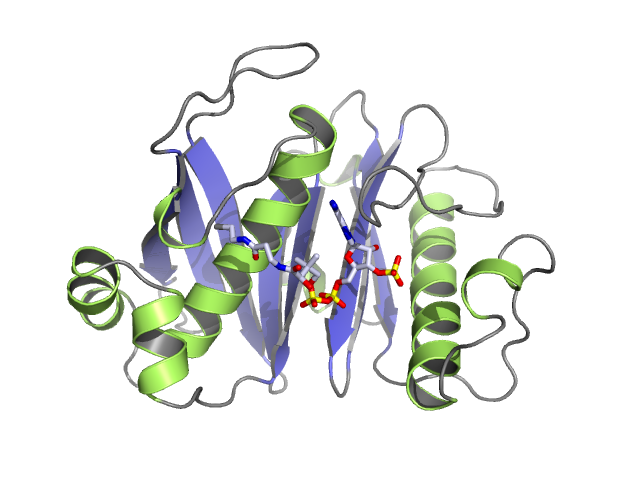 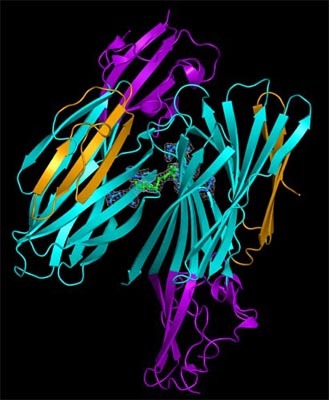 SNA-II lectin from Sambucus nigra.